My engineer Riaan was absolutely lovely and very accommodating. The repair is totally unnoticeable, service was excellent and I would definitely recommend him to my friends and family. Excellent Customer Service for a job well done! :-) - For me the customer service journey starts during our first contact and Riaan definitely instilled confidence in myself which led to me making the decision to use ChipsAway. Riaan visited my vehicle and subsequently provided me with a written estimate via email which I reviewed ... Read more and agreed. Riaan set clear expectations verbally over the phone for the work being carried out and my appointment was made and confirmed by email. Riaan turned up on time and did not stop until the job was completed. Riaan repaired scratches to my off side front bumper excellently and professional and it was clear from conversing with him he takes great pride in his work. I was really pleased with the end result and will highly recommend Riaan for any future endeavours. Extremely happy with service from first phone call to work being completed. Riaan made me aware of what the work involved, arrived promptly, worked efficiently and tidily and I am very pleased with the result. Would have no hesitation in recommending him to family and friends. Great service. On time. Well priced. Great work and very pleasant experience. Riaan Matthysen was excellent. Totally professional. Outstanding work, will certainly be recommending. Many thanks. Had rear bumper repainted by Riaan from ChipsAway Hayes area and I would definitely recommend his work to anyone. He was punctual, friendly and Professional. The work he did looks excellent you wouldn’t know it had been re sprayed. Riann- a true professional from start to finish. Riann made sure to asses to the damage to my car beforehand, quoted a very fair estimate for the work and overall did a fantastic job. I was kept in constant communication throughout the day whilst the work was carried out; and also reviewed the work before final payment in case I had ... Read more any queries or questions. I very much appreciate the outstanding work and would highly recommend Riann. My car looks like new! Very happy customer. Riaan carried out some outstanding work on my car. He was very professional and most importantly punctual. I'd definitely recommend Riaan and use his services again (but hopefully shouldn't need to). Thank you Riaan! Great experience with Riann. Polite, friendly, efficient and focused on doing an incredible job. Would recommend to this others. Excellent service & reasonable price. Excellent service and great work carried out by Riaan. Did not rush the job and end result was 10/10. Would definitely recommend. excellent and professional repair work done by RIAAN MATTHYSEN. RIAAN is so professional in his work from giving me estimate to final work and his time keeping is so excellent , that he arrive at my home before appointment time. I personally give him a 5 ***** on his workmanship and time punctuality. I am so pleased with my rear bumper dent being fixed by Riaan Matthysen. He did an amazing job and would highly recommend. High quality finish and standard and all done in efficient time. Awsome!! Seamless!! Efficient!! Very Professional and welcoming!! Amazing professional finish beyond my expectation. I am so glad I did not end up at the garage, wasting couple of days and without a car! Completed in just over 4 hrs!. Thank you! Riann Matthysen has done an amazing job, has repaired my car which is of very high quality, you would never know where the damage was. Riaan is both professional and courteous, would recommend him to anyone. He provided a First Class Service. All my expectations were well and truly exceeded by Riann and ChipsAway. 5 Stars just ... Read more doesn't express how much I appreciate the level of Service I have received today. One very satisfied customer. So quick and easy to do business with even over the holiday season. Needed some scuffs repaired quickly as trading the car in, Riaan was able to respond quickly. Arrived early which was great and did an excellent job. This is the second time i have used ChipsAway and the service once again was impeccable, Riaan once again did a fantastic job on my car. Excellent professional service from Riaan Matthysen. On time and perfect job. We had two cars repaired on the same day. Riaan arrived early and worked through the day to finish the work as promised. Excellent and professional service. 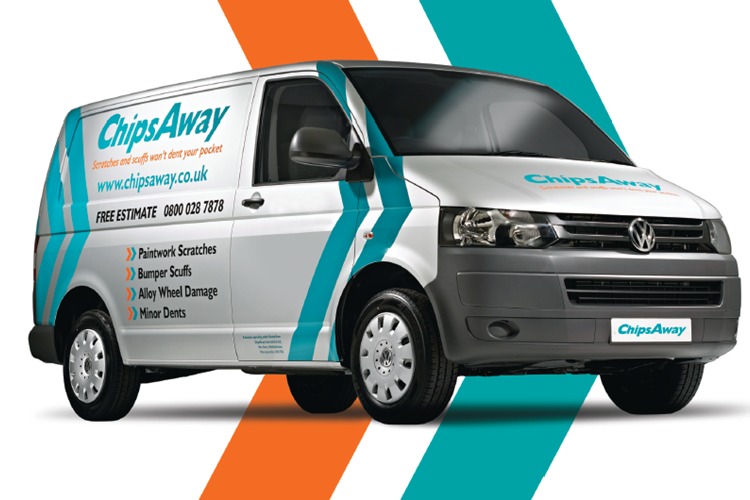 I would recommend ChipsAway without any hesitation. Riaan was very polite,and the job he did was very very good.I was quoted by a body shop £600, he did the job for a third of previous quote.I cannot praise the work done enough,my front wing looks like new, great job. Excellent professional job. 4 scratches across 2 doors, bonnet and boot lid all good as new. Punctual, very friendly service, would highly recommend Riaan.